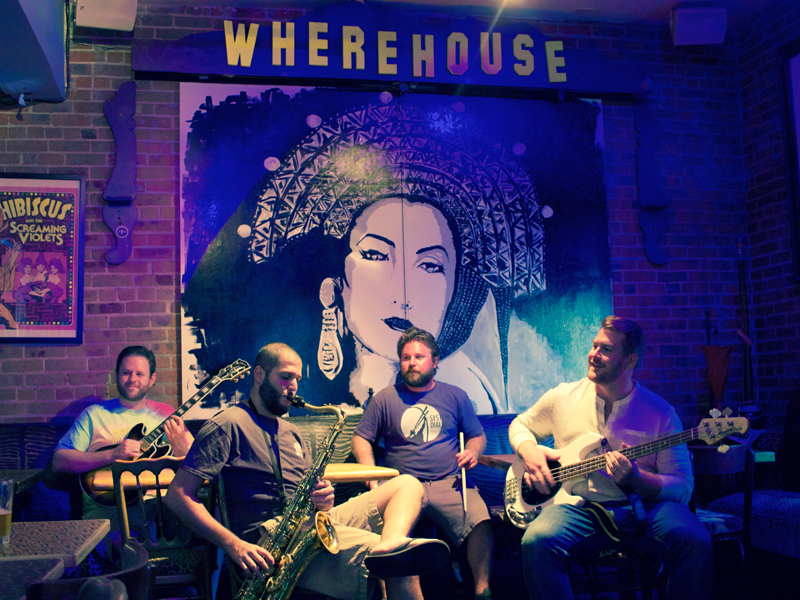 SkyDaddy is a jazz/funk/rock fusion band from downstate New York. Live performances blend genres and styles, as SkyDaddy surrounds catchy hooks with jazzy, space-funk jam sections. Comprised of Tom Clancey (guitar, vocals), Dave Heinz (bass, vocals), Pat Agresta (drums) and Joe North (sax/EWI), SkyDaddy released its 2nd EP -- Wide Eyes -- across all major digital channels on August 1, 2017.